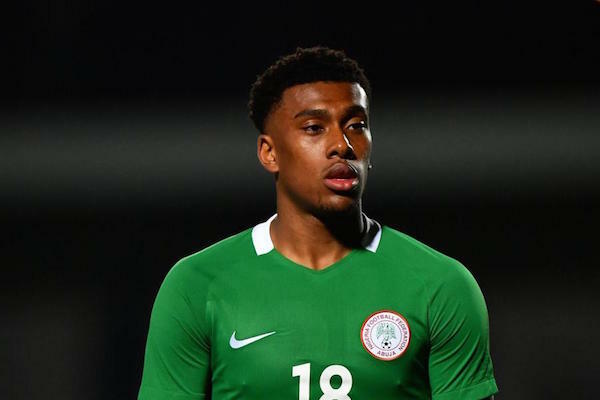 Arsenal forward Alex Iwobi sent Nigeria to the 2018 World Cup finals with the winning goal in a 1-0 qualifying victory over Zambia on Saturday. The Super Eagles became the first African team to advance to Russia after taking an unassailable lead atop Group B. It will be their sixth World Cup finals appearance. Substitute Iwobi blasted home a pullback by Shehu Abdullahi 17 minutes from time to secure qualification. “We were lucky that Iwobi came off the bench to make the difference,” said Nigeria’s German coach Gernot Rohr. Zambia coach Wedson Nyirenda felt his team had dominated for long periods. “They got a half chance and they used their experience to punish us,” he said. In a high tempo first half, Zambia thought they had taken the lead when Augustin Mulenga bundled home but his 23rd minute effort was disallowed for offside. In the 36th minute, Zambia striker Alex Ngonga, whose pace troubled the Nigeria defence throughout, forced goalkeeper Ikechukwu Ezenwa to parry the ball behind for a corner. The Super Eagles peppered the Zambian goal with shots in the closing minutes of the first half, but skipper Mikel Obi, Odion Ighalo and Moses Simon all failed to trouble Zambian goalkeeper Kennedy Mweene. Nigeria were the brighter of the two teams after the break as Wilfred Ndidi saw his looping header pushed away by Mweene. The Eagles carved out the better chances, although Zambia looked dangerous on the counter attack until Iwobi settled the affair and sent Nigeria to the World Cup finals.